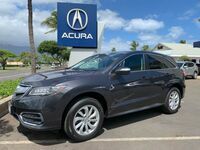 Here at Acura of Maui, we understand that not all car shoppers are in the market for a brand-new vehicle. 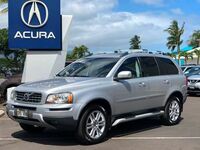 In fact, there are several situations in which it makes perfect sense to opt for a pre-owned model. Perhaps you're helping your new teen driver find a starter car. Or maybe you find yourself in a financial circumstance where you need to save as much cash as you can. Or it could be you simply prefer the idea of driving a car that has been tested and has proven itself worthy of spending more time on the road. 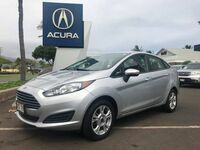 Whatever your reason is, we can help you find the used car you're looking for right here in Kahului, HI. In addition to specializing in new Acura models, we carry a wide selection of pre-owned vehicles from a variety of makes and models. 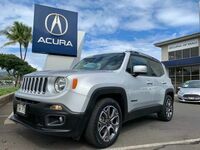 So, whether you're looking for an efficient sedan or a powerful SUV (or something right in the middle), chances are you'll be able to find a model on our lot that suits your needs. We offer an assortment of years, as well, from late-model, low-mileage used vehicles to older variations. With so many different options to choose from, it can be difficult to find the model that is right for you and your specific situation. 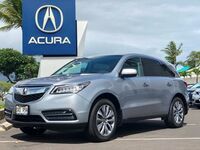 Fortunately, here at Acura of Maui, we employ a team of individuals that are ready and willing to help you through the entire process. We can assist you with evaluating and narrowing down your options as well as finding a financing plan that fits your budget. So, what are you waiting for? If the time is right for you to buy a used car (and maybe even if it isn't), we encourage you to reach out to us to get started! Feel free to take this opportunity to check out our current used inventory. Who knows—you may even find your dream car! We look forward to helping you choose the pre-owned vehicle that best matches your budget and lifestyle.